The Kenda NUE Series headed to Sturgis, South Dakota, home of the world’s largest motorcycle rally. Tatanka, the Lakota word for Buffalo, is the only point to point race in the NUE Series. At 6am, racers began gathering beneath the shadow of USA National Landmark Mount Rushmore. Beneath the magnificence of mammoth rock sculptures representing four of our nation’s greatest presidents, George Washington, Thomas Jefferson, Theodore Roosevelt, and Abraham Lincoln, NUE racer’s rolled out at 6:45, down a short section of pavement connecting them to the Centennial Trail along an 85 mile course that includes gnarly single track and fast, smooth cruising trail winding all the way to Sturgis. The town of Sturgis is nestled at the base of the northern Black Hills in extreme western South Dakota. Temperatures this year reached an unseasonable high of 97 degrees, tempered by low humidity and, at times and in places, strong breezes throughout the day. In addition to the 85 mile race, this year’s Tatanka included a 50k Marathon distance that is part of the new NUE Marathon Race Series. There was also a 15 mile Sprint distance for first timers that included many kids. 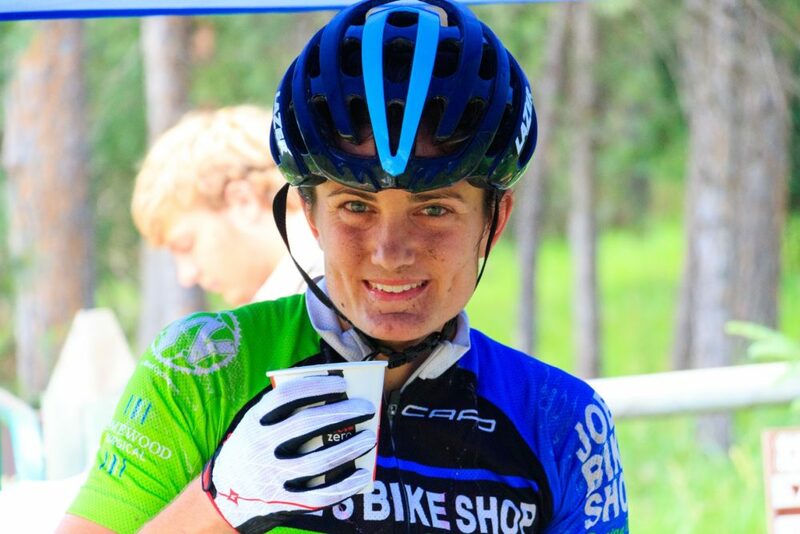 Following her first big win at the NUE Cohutta 100 in April, Carla Williams, Joe’s Bike Shop Racing Team, achieved her second NUE win finishing 9:08:52, fourteenth overall. “I really had no idea what to expect at Tatanka. I had heard the course was rocky and technical (not exactly my favorite) with a lot of climbing (ok, I might stand a chance of doing well). I was most excited about starting under Mount Rushmore and having the chance to see the famous national monument! The first 10-12 miles of the course was pretty brutal: lots of rocky steep climbs, lots of hiking, very hard to find any sort of rhythm. Luckily, after aid one, the trails were smoother and I felt I could actually ride my bike. It was my first race on a full suspension, and I loved it! I felt more and more confident on it as the race went on. Abelyn Broughton, Fitzgerald’s Bicycles, was next capturing second in 9:29:30. Eleven minutes later, Christy Olsen, Crazy Pedaler Fat Fish, crossed the line at 9:40:51. “My race did not go well. I don’t think I was hydrated enough coming into this one. I felt okay for the first twenty miles but really succumbed to the heat after that. It was a really challenging course with some great competition. I wish I had a better performance, but it was good just to finish this one.” Olsen’s next race will be the Pierre’s Hole 100 on August 6. Kaarin Tae, Bike Monkey Cycling, was next, sixteen minutes behind Olsen for fourth place at 9:56:18. Six minutes later, Mari Chandler, Team Adventure Medical Kits, placed fifth at 10:02:02. A top NUE Contender, Chandler also placed second at Cohutta and third at Lumberjack this year. Lamb gets his second straight win Tatanka! Jamie Lamb, Bicisport Calgary, made it two in a row in Sturgis getting the win in 7:20:24. “Walking out of my hotel into 80-degree heat at 4:00 AM, I was worried about both the trio of Johnson, Lideen, and Tostado, and the chance that I’d wither in the day’s 97 degree high. Once the climbing/rock scrambling started the four of us went clear with me pleased to have made the selection and focusing on hydration for the heat to come. Unfortunately Lideen went down hard and cut his wrist on a rock, and about 10 miles later, Josh flatted leaving Dylan and me to sort it out. We kept it mostly on cruise to the climbs on the motorized access portion of the Centennial trail, and with 30 miles to go I leaned on the throttle, happy to create a gap but cautious about melting down, dumping full bottles on myself at Aid 4. Following big spring season wins at Cohutta 100 and the Mohican MTB100, 21 year old Dylan Johnson, Giant Co-Factory Northeast, arrived just nine minutes later to take second at Tatanka, finishing 7:29:14. Four minutes later, Daniel Matheney, COS Racing p/b Matheny Endurance, claimed fourth at 07:59:43. Two-time Tatanka winner and local favorite, James Meyer, Quark/SRAM, from nearby Spearfish, SD placed fifth this year at 8:13:02, forty-one minutes faster than last year! 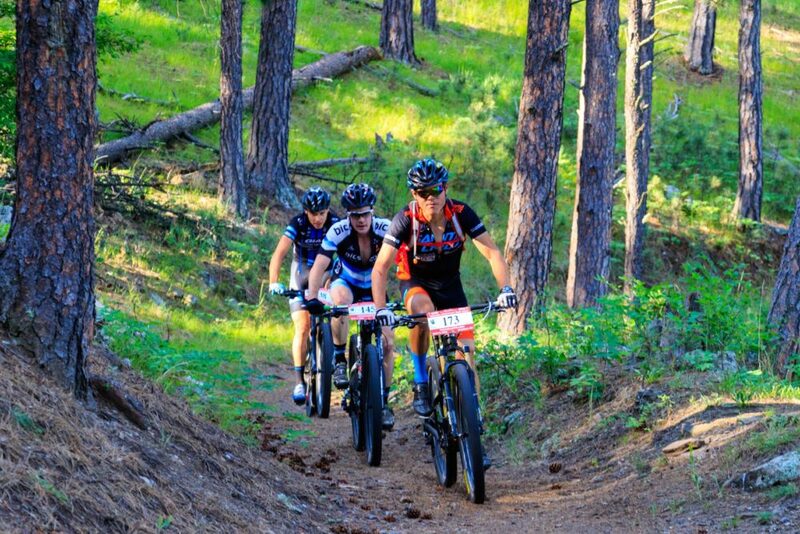 Taylor Lideen, who placed first at the NUE opener True Grit Epic and eighth at Bailey Hundo, crashed out just ten miles into the race, injuring his wrist. “The race started with Josh, Dylan, Jamie and I up front having a blast on the super raw and technical trail. The Centennial Trail did not disappoint and already has me thinking about racing on it again next year. A little over an hour in, on what seemed to be the smoothest single track so far, I reached to grab a drink from my Camelbak and clipped my left pedal on a stump hidden beneath the overgrown grass. The crash happened so quickly and, before I knew it, Dylan was staring down at me checking to see if I was okay. Luckily, I was really close to a road crossing and waited there until someone from aid station one came and picked me up. After meeting up with my fiancé, we drove to the hospital in Rapid City to get everything checked out. The doctor brought the x-Ray result in and I breathed a huge sigh of relief when I was told there were no breaks. After a generous scrub and a few stitches later, I was released and headed down to the finish to watch the leaders come through. At the moment, my wrist and palm area are feeling better and I should be good as new and ready to race at Big Bear in a couple weeks. Trevor Rockwell put it down to get his first NUE SS win this season, finishing in 8:15:43. 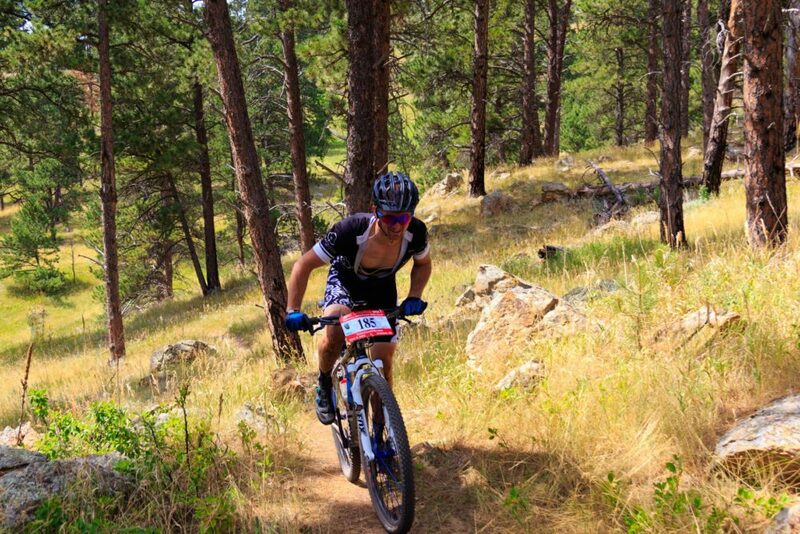 “Tatanka100 was an awesome race! I came in with high hopes to ride for A.J. Linnell and try to come away with the Single Speed victory! The race was interesting from the get-go as the lead pack of eleven or so guys missed a turn about one mile into the race that put us behind a long line of folks. Once we sorted through the line, it was game on from there. I was able to keep up with Kip and Jeff Kerkove until Aid 1. They got out a little quicker from the Aid station so I was relegated to chasing. For the rest of the race I thought I was hunting down Kip and trying to get myself back into the lead. Later, I learned that he took a wrong turn before Aid 2 that put me unknowingly into the lead. 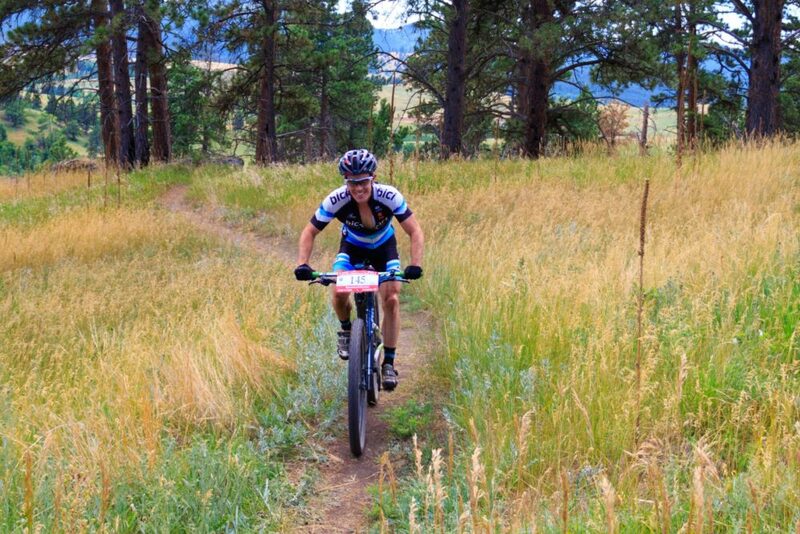 For the rest of the race as the heat took its toll, I settled in, trying to close a gap that was actually behind me. I pushed as hard as my body would let me. Throughout the second half of the race there were many times I thought I should pull the plug as I was overheating pretty badly but thinking of the name on the back of my jersey kept me pushing on. Kip Biese, KJBike Coaching/Old Town Bike Shop, took second at 8:40:24, twenty-five minutes behind Rockwell. With four finishes already under his belt, Kip Biese leads the NUE Race Series including second place finishes at both Cohutta and Bailey Hundo, a third place finish at Mohican, sixth at True Grit Epic. “I felt good and rode back and forth with Trevor to Aid 1. Brothers gets his first NUE Race win! Brian Brothers, Hammer Nutrition, earned his first ever NUE victory, first across the line at 9:24:30. “There was the section about seven miles in where it was hike-a-bike, playing to my strength since I do that kind of stuff all the time, I passed several riders there and soon found myself riding alone for the next forty miles. I had no idea where I was in the overall or in my ‘old man’s’ category. From there it was another awesome section of singletrack and fire roads leading to aid station two. When I got there, I asked where all the other masters men were, thinking they were in front of me. NUE series director Ryan O’Dell, who was following the race answered that I was the first one. Dumbfounded, I couldn’t believe it. I thought for sure that someone made the cut in front with the faster riders. Knowing I was in the lead, I headed out on the third section of trail towards aid three with renewed energy and promptly started cramping. The thing about cramping and me is that I don’t stop, I grit and bear it and pedal on through softly. It’s always worked for me and within minutes my legs had loosened up and I was cruising again, alone. Within a few miles of aid three at the 50 mile mark, I was caught and passed by a singlespeeder and the eventual women’s winner. No longer alone, I was able to finally have someone to pace with. When I got to the aid, I proceeded to pour ice cold water over me as I had been cooking out there in the heat. That was the precise moment when the second place Masters Rider, Marland Whaley, would show up, grab two water bottles from his support crew, and head out. I was a bit relieved to finally have someone else in front and worried because I was really suffering and he looked really fresh. I took off after him with Ryan taking photos of us as we headed into the next 17 mile section. I cramped as we headed up the first climb out and backed off the pace to recover. In my mind I knew the two things I had going for me was I had been hydrating all day whenever I wanted due to my hydration pack vs his two small bottle setup and his hardtail bike would have cost him time competing against me on my full suspension Salsa Spearfish. On the next road descent, I couldn’t believe my luck as he almost overshot a turn onto the singletrack. I was on his wheel as we entered the climb and it was apparent that something was wrong as his speed was much slower than I expected. We both pulled off the trail for a couple faster riders in the shorter race. I deferred to him to go as he was in front and he said “no you go”. Was this a trick I thought? I decided with approximately two miles of climbing before a big descent to burn my matches and almost doubled the pace to see what his reaction would be. Several minutes later I was all alone with no one in sight. I bombed down the descent throwing caution to the wind as I drifted through switchbacks. I ended up crashing at speed as I slid on the pine needle covered trail and went over some rocks. Only some scrapes, I got up and charged down the descent again, and again the pine needles had their way but it was only a slow speed fall and I was quickly riding again as the trail straightened out. I had my GPS with course overlay showing the elevation profile and distance to the next stop and hammered it out to the aid station. I didn’t waste any time and was quickly back on my bike with the final 15 miles remaining in a mostly downhill trending profile. I kept on the gas as best I could, feeling much better than I did during the middle half of the race. As I crossed into Ft Meade recreation area, I knew, short of a race ending crash, nobody was going to catch me. I eased off the pace to be focused on the final few downhills as I had crashed here 24 hours earlier. Even then I still struck a boulder with my pedal that sent me in the air. Luckily I landed in control and, with three miles remaining; I relaxed entirely to enjoy my first individual win in a long time. It was surreal as I crossed the line. Ryan was there to congratulate me on a great race. DirtWireTV even did an interview with me. I was like, wow. Now where’s the beer? NUE Series contender, Marland Whaley, Red Barn Bicycles/Hammer Nutrition, was back and forth with Brothers through much of the race before finishing 9:39:35. 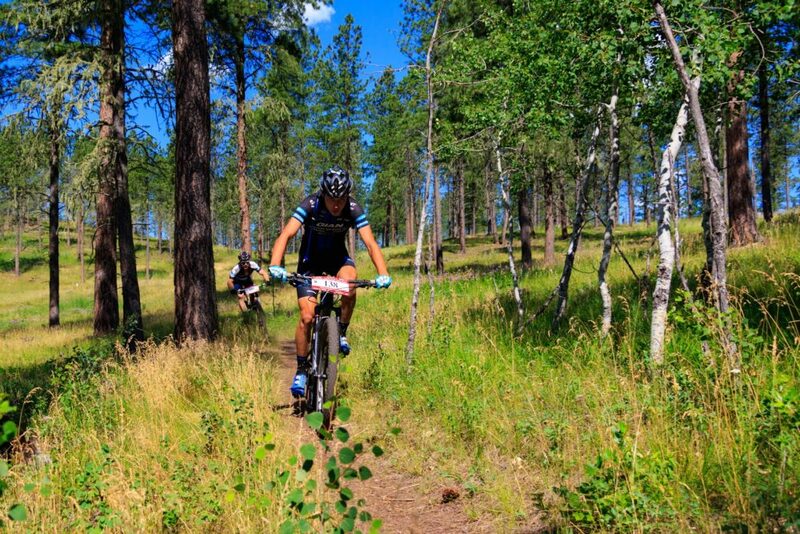 “After racing the Tatanka 100 in 2013, I couldn’t wait to get back to the Black Hills again. This year, once again, it was a very well organized race with incredible volunteers at the aid stations. I had been fighting an illness for two weeks prior to this, but was so “all in” to race well that I never backed off like I should have to get well. It was such a mistake that, within the first hour, I’m not sure how I’m getting back to Sturgis. All I could do is press on the pedals enough to go forward. As the temps rose toward 100, I became light headed and sicker. Roger Clark finished third at 10:56:18. NEXT: The KENDA NUE Race Series heads due west for The High Cascades 100 near Bend, Oregon on Saturday, July 16. Like all NUE Races so far this season, The HC100 is sold out. 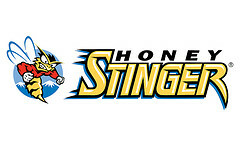 However, racers can get on a waiting list to enter. Visit http://nuemtb.com/series/high-cascades-100-ultra-endurance-mountainbike-race for more information and stay tuned here for the latest news, results, and photos. This entry was posted in News, Ultra Endurance and tagged 2016, national ultra endurance series, NUE, photos, results by Shannon Boffeli. Bookmark the permalink.